Colonel Edward Hugh BEARCROFT, C.B. Commanded the 6th Battalion Worcestershire Regiment from August 1897 to August 1905. Edward Hugh Bearcroft was born at Hanbury, Worcestershire in 1852. He was the son of Edward Bearcroft (Magistrate and Landowner) and Eliza Colby. Sadly his mother Eliza died only a few months after Edward Hugh was born. He was educated at Eton and the R.M.C. Sandhurst. He obtained a commission with the 3rd (Militia) Battalion Worcestershire Regiment on the 17th March 1871, with the rank of Lieutenant. In 1877 he married Catherine Elizabeth Philipps at Carmarthen, Wales. He was promoted to the rank of Captain on the 25th August 1880 and to Major on the 16th April 1890. On the 2nd August 1897 he was promoted to the rank of Lieut.-Colonel and given command of the 4th (Militia) Battalion Worcestershire Regiment. This Battalion was later re-numbered the 6th Battalion in 1900 due to the fact that new Regular Battalions were raised for fighting in the Boer War. He was granted the honorary rank of Colonel on the 25th August 1897. 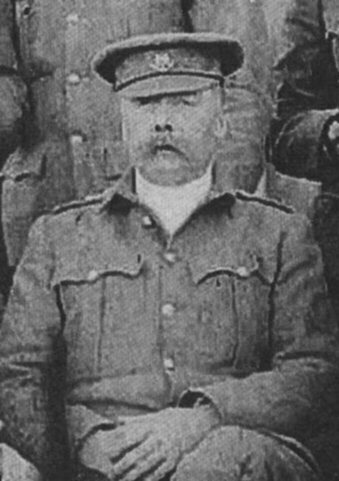 Colonel Bearcroft took the 6th Battalion to the Cape Colony, South Africa in January 1902, and saw active service in the latter stages of the Boer War. He retuned back to England, with the 6th Battalion, in September 1902, and the Battalion was disembodied at Worcester. He was awarded the Queen's Medal and three clasps and was made a Companion of the Order Of Bath on the 26th June 1903. Colonel Bearcroft eventually retired from the Army on the 1st August 1905. Colonel Edward Hugh Bearcroft, C.B. died on the 27th January 1932 (age 79) at his home at Mere Hall, Hanbury, Worcestershire. Colonel E. H. Bearcroft, C.B.